INTERNATIONAL PREORDER PRIZES FOR ESCAPING FROM HOUDINI ARE HERE! i am so, so, so ecstatic to share this news with you! i know international readers were excited when the custom character cards were unveiled (and then disappointed it was US only), but now you’ll be able to snag the very same cards AND get a signed copy! international readers who pre-order through Premier Collectables will receive a signed hardcover copy of ESCAPING FROM HOUDINI along with the 8 custom tarot cards illustrated by Phantom Rin. no preorder receipts need to be submitted since the preorder is going directly through Premier Collectables, and they’ll be shipping both the signed book and tarot cards out together. the international offer ends on 9/17/18, the same date as the US preorder offer, so please don’t wait too long. once publication day hits, the tarot cards disappear forever! Order your signed hardcover and receive the cards by clicking HERE. Standard international shipping costs will be applied at checkout. For any more questions, please check the listing on their site. I’ll be signing the copies in person and can’t wait to scribble in your books! i want to say a HUGE thank you to Sabrina at JIMMY Books for going above and beyond to make this a possibility for international readers! this is such an awesome (and rare!) thing for a US publisher to do, and i couldn’t be more grateful to have such a dedicated and hard working team. I will also be signing (and personalizing) editions that will be available for preorder through each bookstore i visit during my tour. those stops will be announced very, very shortly, so if you’re a US reader who’s been patiently waiting to preorder a signed copy, the wait is almost over! thank you all so very much for all of the love for this book. it truly means the world to me. Posted on August 7, 2018 August 7, 2018 by Kerri Maniscalco	This entry was posted in Dreams, ESCAPING FROM HOUDINI, For Readers, Giveaway, Happy Things, Jimmy Patterson Books, STALKING JACK THE RIPPER, Ya, ya books and tagged circus, ESCAPING FROM HOUDINI, Jimmy Patterson Books, Kerri Maniscalco, Phantom Rin, preorder prizes, Tarot, ya mystery, YA Thriller. Bookmark the permalink. 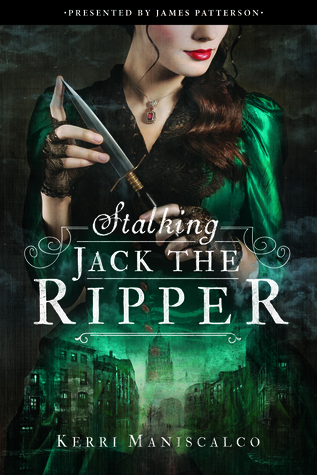 ← Stalking Jack the Ripper ebook deal + Pre-order prizes and more!